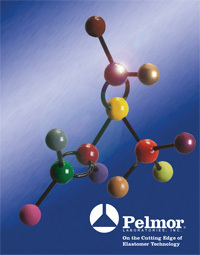 Custom Mixing | Pelmor Laboratories Inc.
Pelmor® has a vast library of hundreds of compound formulations that have been developed and tested over the fifty-plus years that the company has been in business. Formulated from virtually all the synthetic polymers that are available today, these recipes have been proven to be effective over time in various field applications. One of the many things that sets us apart is our distinct specialty in the processing of fluoroelastomers (FKM) and perfluoroelastomers (FFKM). We are known for our unique ability to mix, mold and bond these high-performing elastomers with great precision. For more information on the physical properties of these elastomers and more, please check out the elastomeric chart.